Hello! 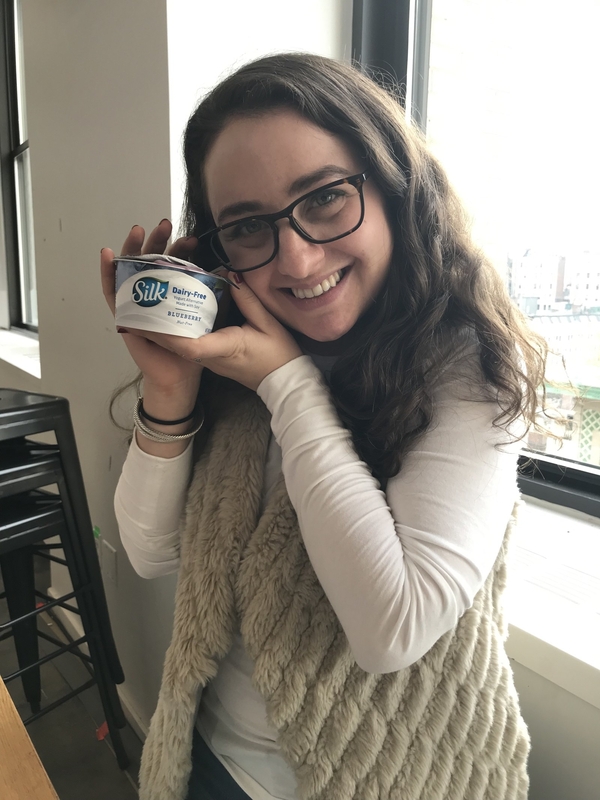 I'm Terri, and yogurt is my favorite breakfast food. Sadly, I'm lactose intolerant, which means eating my favorite breakfast food sets me up for a pretty rough day. 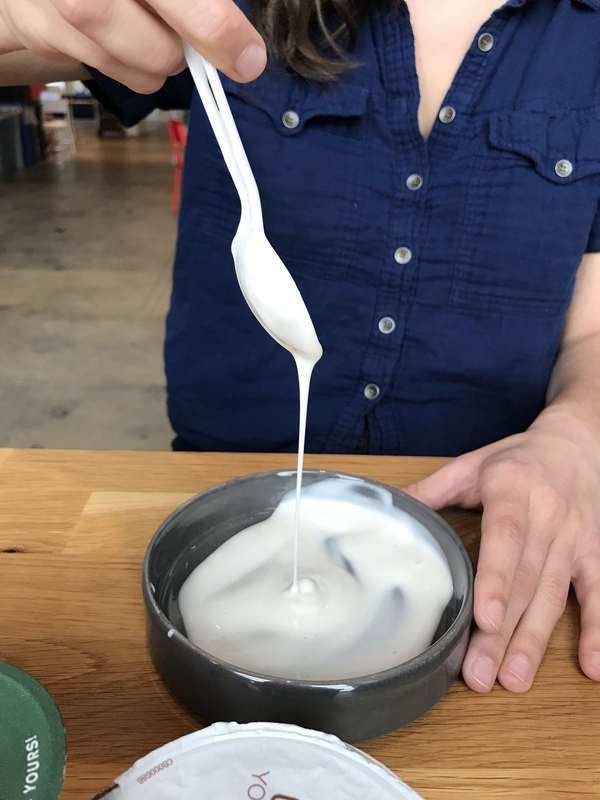 In the interest of my digestive system's health, I recently decided to try four yogurts made with dairy substitutes: cashew milk, soy milk, almond milk, and coconut milk. 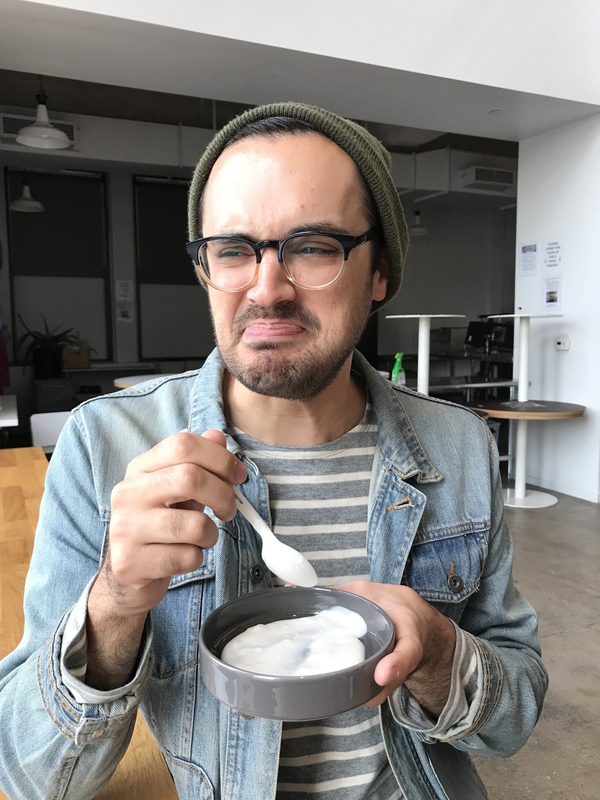 I wanted to try a variety of milk alternatives not just because of their differences in flavor and texture, but also because they all have their own pros and cons. 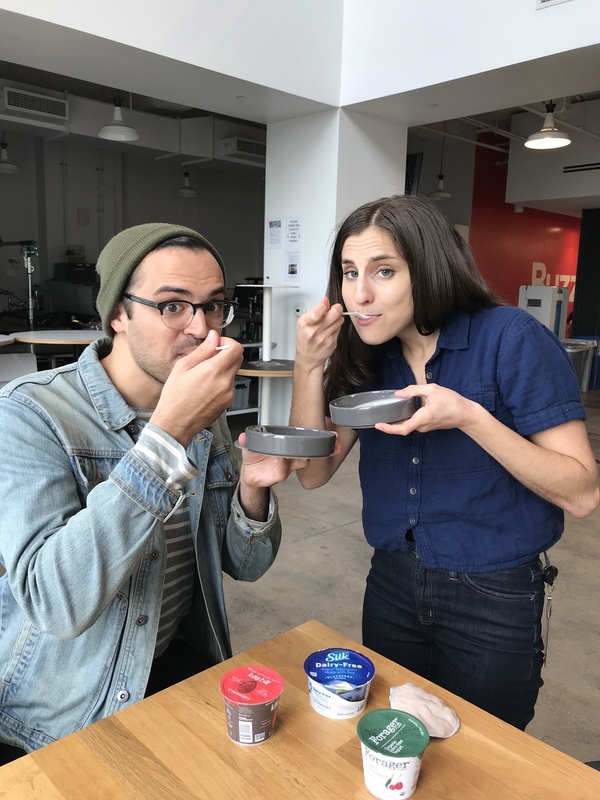 I also enlisted two coworkers: Tom, who loves yogurt and eats cherry Chobani basically every morning, and Rachel, who's vegan (aka a pro at trying dairy alternatives). 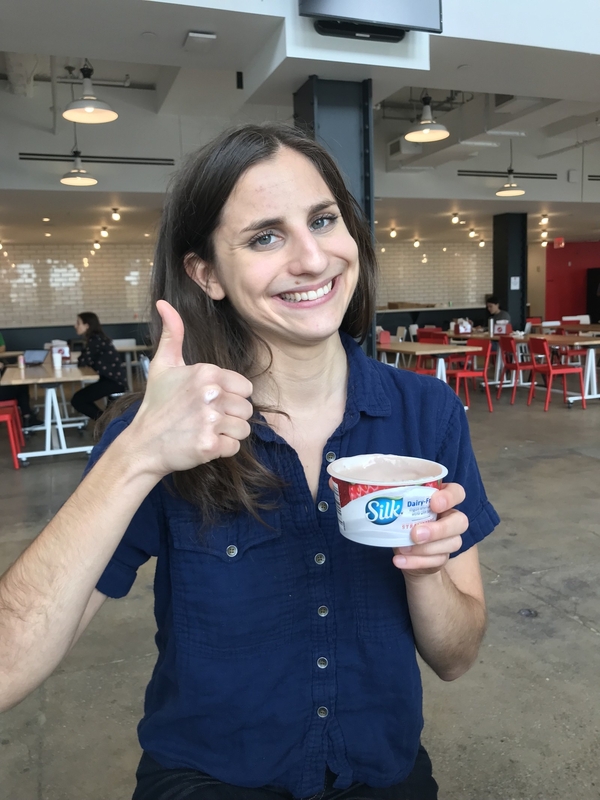 Rachel, who's been vegan for four years, has yogurt flashbacks to the Yoplait she used to have as a kid. 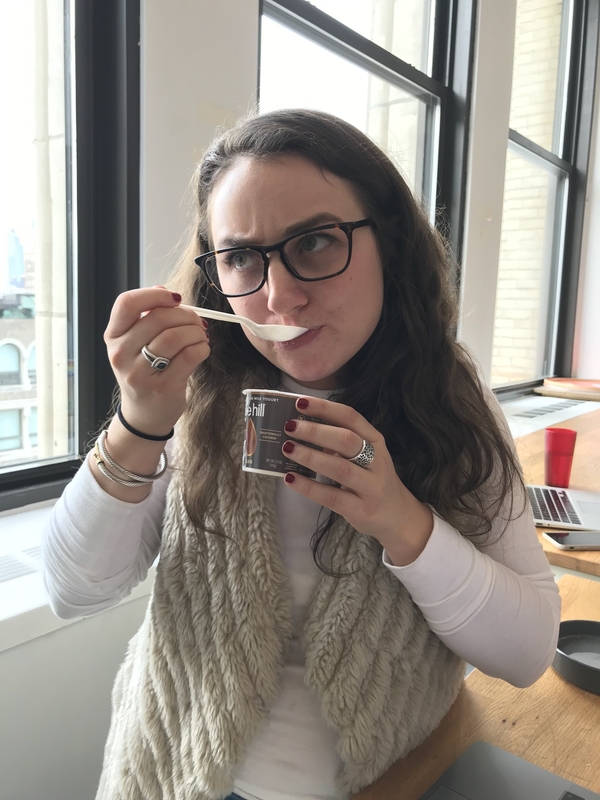 When she tries out a dairy-free 'gurt (sorry), she looks for ones that don't have a weird chalky imitation yogurt aftertaste. 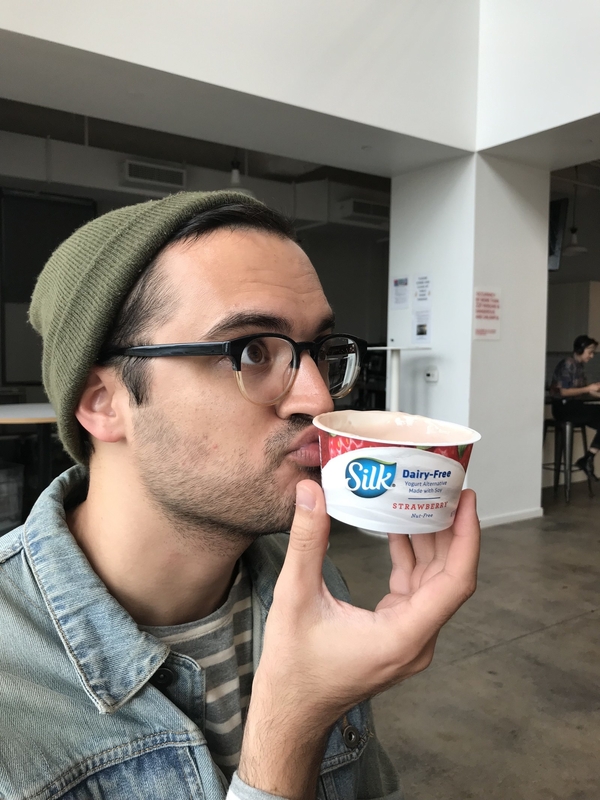 Tom is looking for a dairy-free option that has the taste and mouthfeel (yuck) of cherry Chobani — a tall order to be sure. As for me? 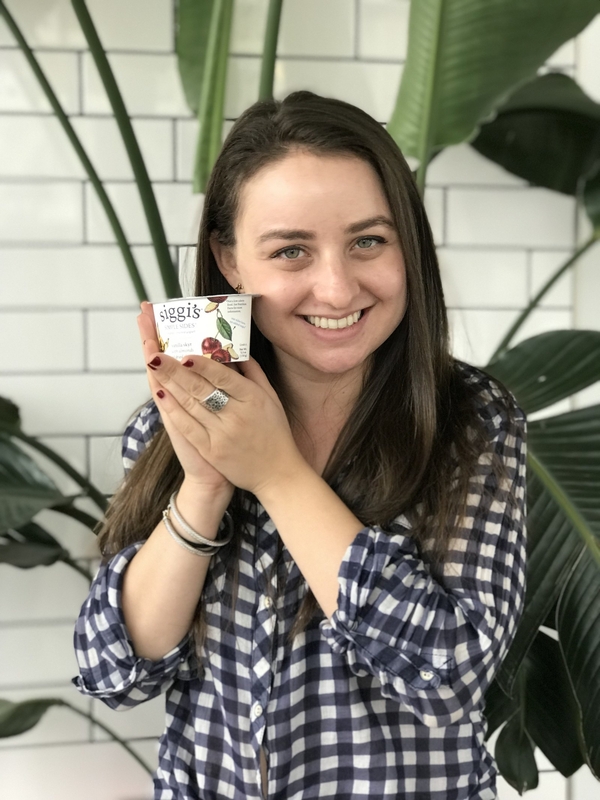 I just want a dairy-free yogurt that lives up to my milky (sorry again) gold standards Siggi's and Fage, and doesn't make my intestines feel like they're fighting a civil war. 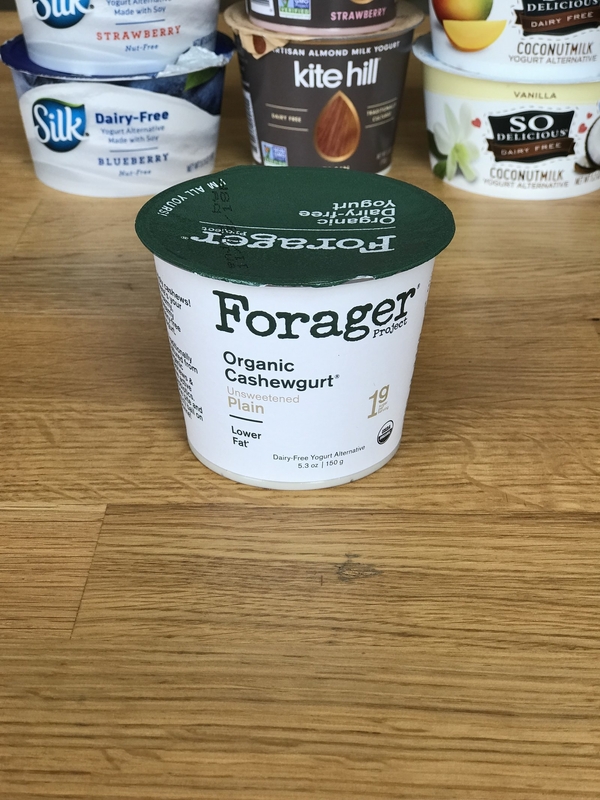 We started out with the Forager Project Cashewgurt, which we tried in the plain variety. Terri (lactose intolerant): It's very smoky and so runny. It kind of feels like you’re eating smoky glue. Where is that flavor coming from?! The ashes of formerly whole cashews? I can barely eat more than one spoonful. Tom (yogurt lover): NO, I am not a fan. It doesn’t taste like anything edible. I can see myself eating it if I really wanted to feel healthy and dump good things into my body, but I wouldn't go for it for flavor. 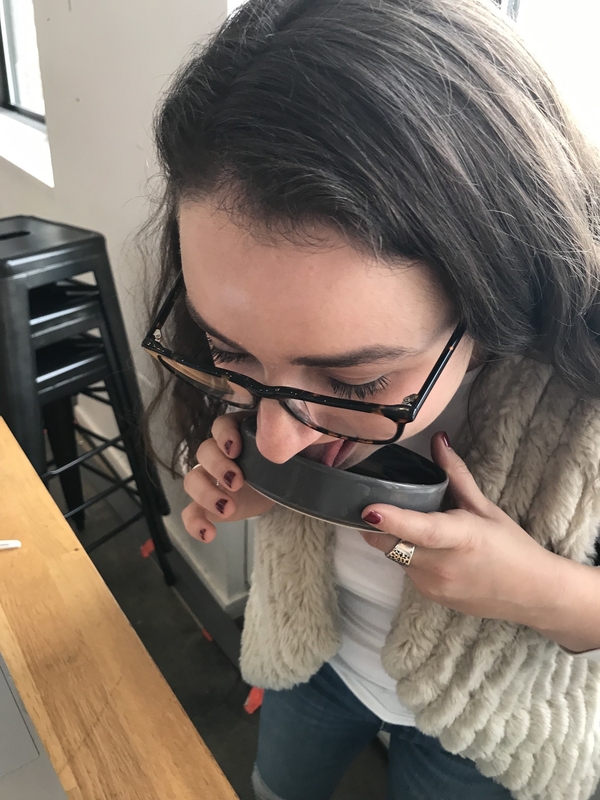 Rachel (vegan): Ooh, that’s tangy. It isn’t terrible, it’s just so bland and gooey. I think I would put chia seeds in it to turn it into chia pudding, or add it into a smoothie for some creaminess. On its own though, it's not great. We also tried it in the cherry flavor. It was way better than the plain, thanks to the light cherry flavor that masked a lot of its other sins. The aftertaste, while not quite as tangy, was still a little smoky, so it's still a hard pass. 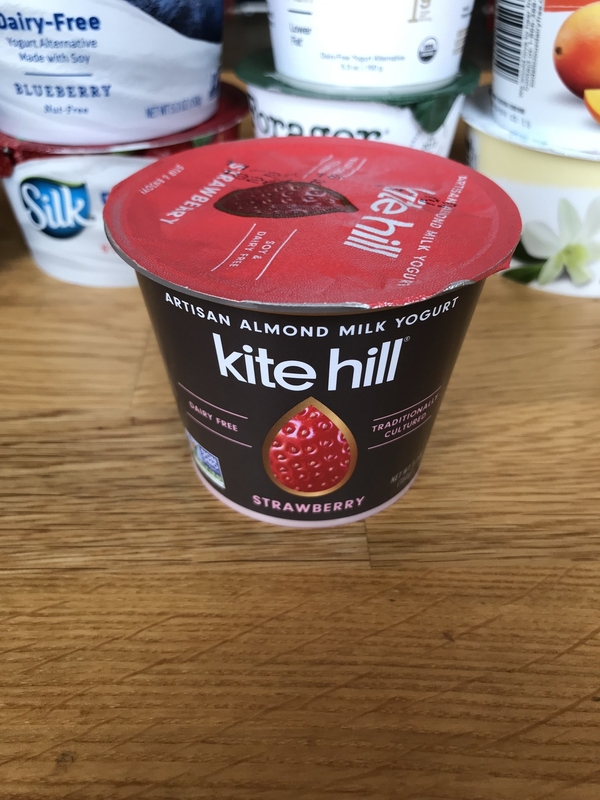 Next up: Kite Hill almond milk yogurt in plain. Terri: It tastes really papery, but it's better than the cashew one because it’s not smoky. It separated really weirdly in the cup and it has these lumps that are a little disconcerting. It’s very...loose….but I don’t hate it! I willingly ate more than two bites! Tom: EVERY BITE CURSES YOUR MOUTH. The scientists were so preoccupied with whether or not they could, they didn't stop to think if they should. Rachel: Oh no! It’s so sour! It tastes rancid. It's so bad, it's like taking a shot of tequila. I want to know who thought it was acceptable to put on this on the market. Kite Hill also makes a strawberry flavor (among others), so we tried that as well. This was not that enjoyable, despite its (very) high sugar content. To quote Rachel, "I don’t understand why anyone in their right mind would want 17 grams of sugar." It was incredibly sour and artificial-tasting and a big fat nope from all three of us. 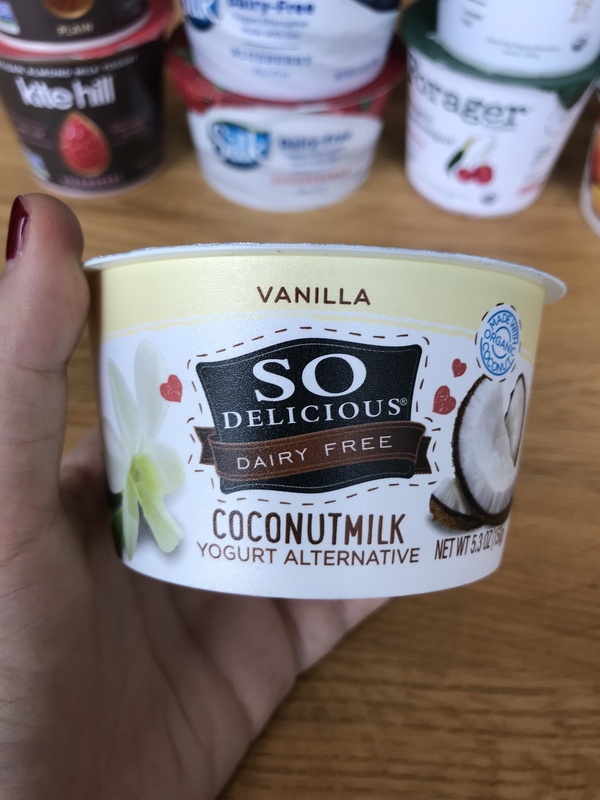 We moved on to So Delicious Vanilla, which is made with coconut milk. Terri: This one is amazing!!! I realize this amount of sweetness is probably a turnoff for most people, but my tolerance is sky-high and this yogurt makes me feel alive. I licked it out of the bowl. I'm definitely a fan of coconut milk. Tom: I could eat a whole cup of this one. I like texture way better than others, it's the closest to the yogurts I’m used to. Plus, it has a nice light coconut flavor. Rachel: This is one of the best, but it’s also really sweet. It has 16 grams of sugar in one container!!! The consistency is great, but there’s no way I would eat this every day, it's like eating candy. It could easily have eight grams of sugar and be fine. So Delicious's passionate mango flavor was also on tap. It was so beautiful, like a cup of mango lassi. However, the passionfruit flavor was an unwelcome tart surprise. Still, it was definitely better than most of the others we tried. 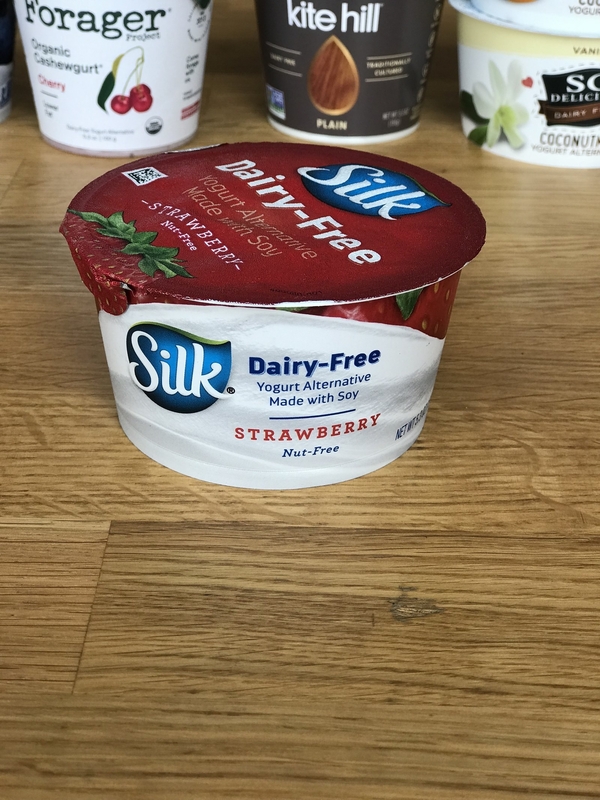 And finally, we tested out Silk soy yogurt in strawberry. Terri: This one definitely has a chemically strawberry flavor to it, not from the soy, but from the sweetener they put in it. 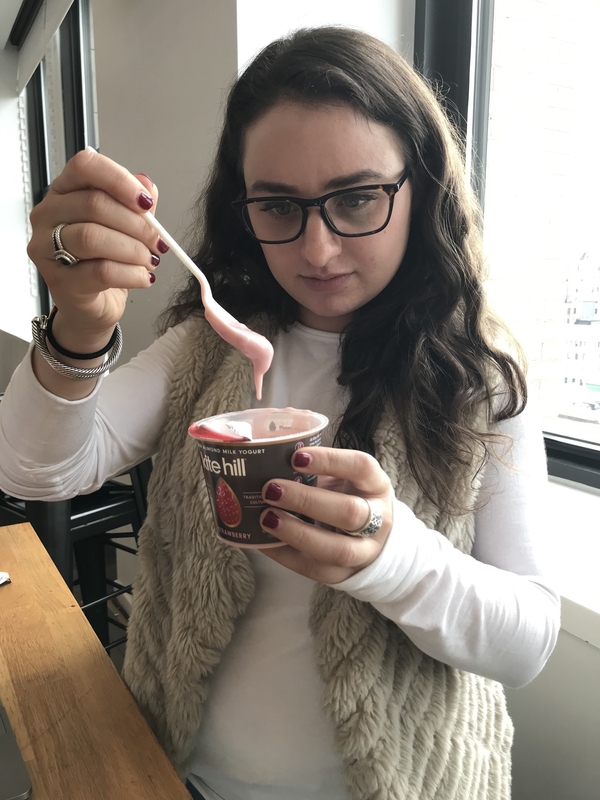 However, it's pretty great otherwise — it has fruity chunks just like real yogurt, and the texture is amazingly smooth and creamy. Tom: If this is healthier than Chobani, I’d be willing to switch to it. I could eat a whole cup of it for breakfast. 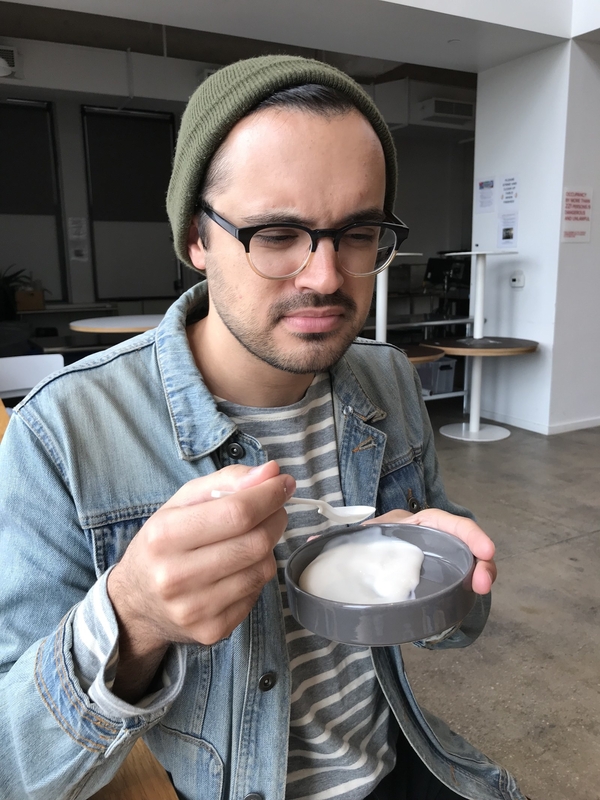 It feels like an authentic yogurt experience. Rachel: This only has 13 grams of sugar which isn’t as bad. This tastes like Yoplait; it's good and actually feels like yogurt. The texture is amazing — super silky and creamy — and it's not too sweet. It takes me back to being cafeteria and cracking open a cold one. We also sampled Silk's blueberry option. It was just as good as the strawberry, if not better, in my opinion — bu that's because I just really love blueberry-flavored things. Silk FTW! The Silk yogurt was the hands-down favorite. 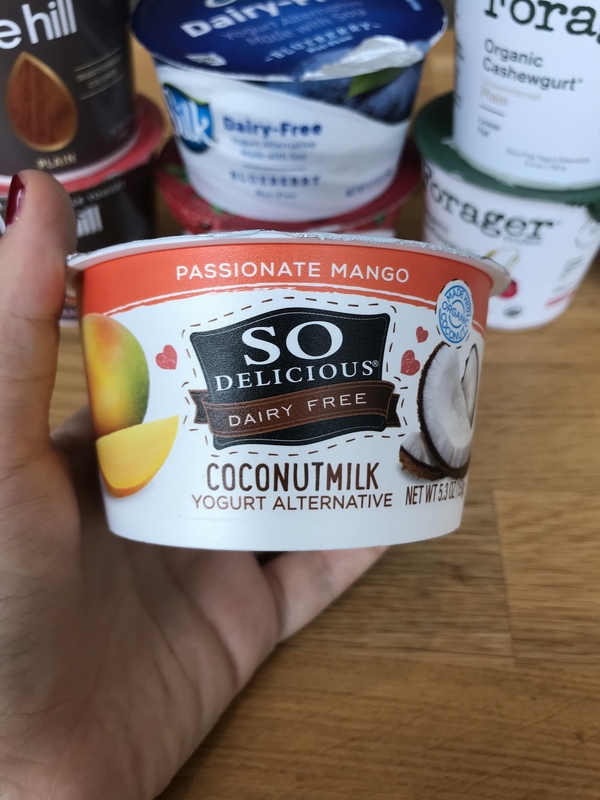 Not too much sugar, delightfully thick and creamy, and an authentic yogurt experience from beginning to end. 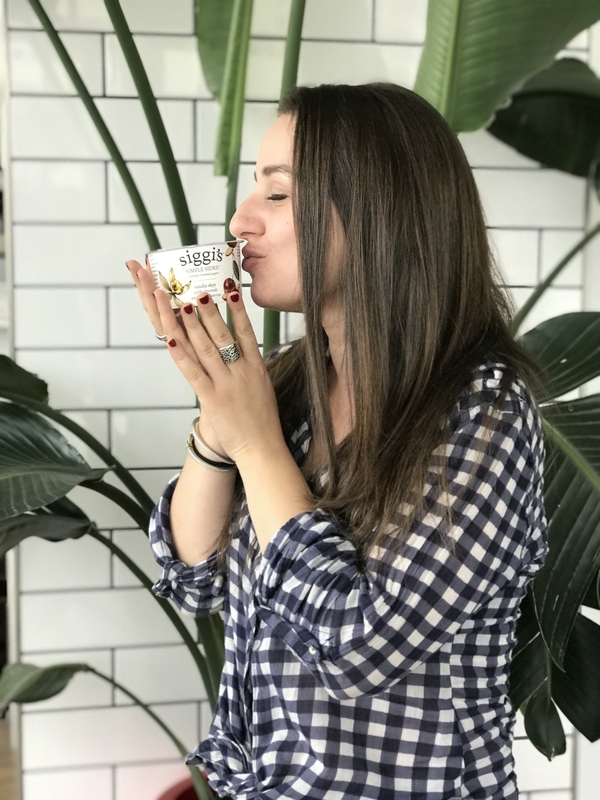 The best part of waking up is soy yogurt in a cup! 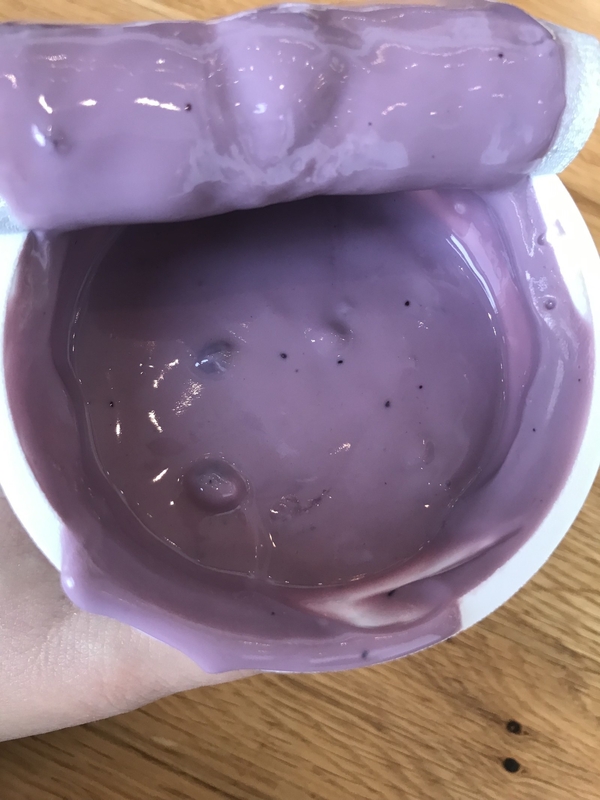 Nut-based products might be great when you're trying to replace milk, but we found that they were way too runny to stand alone as a 'gurt. 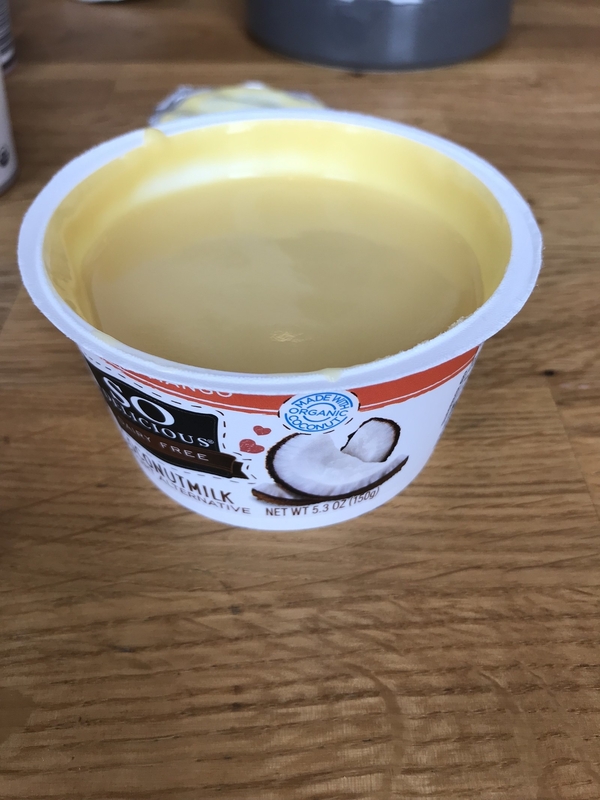 As for the coconut yogurt, it would be great treat every once in a while, but with 16 grams of sugar, it's not what we'd want to have for breakfast every day. 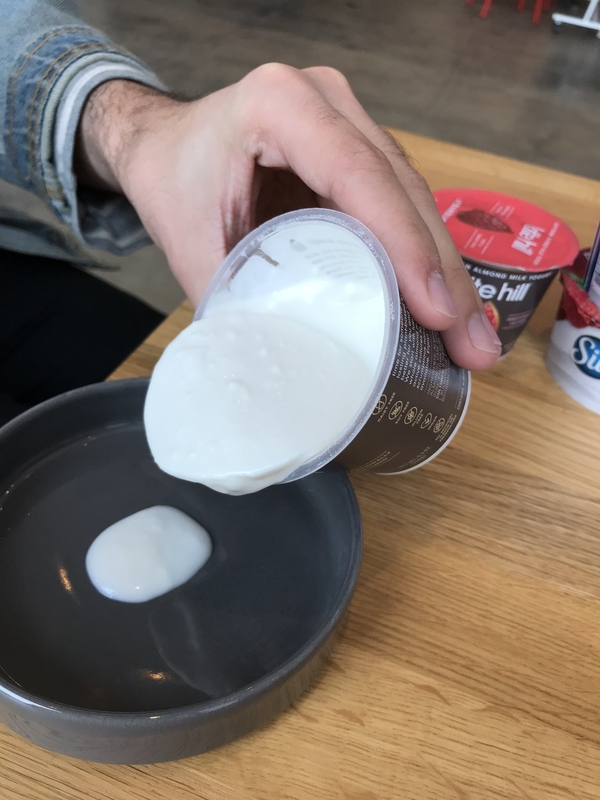 But the soy yogurt? I'd gladly trade in my stomach troubles for a cup of it in the morning! 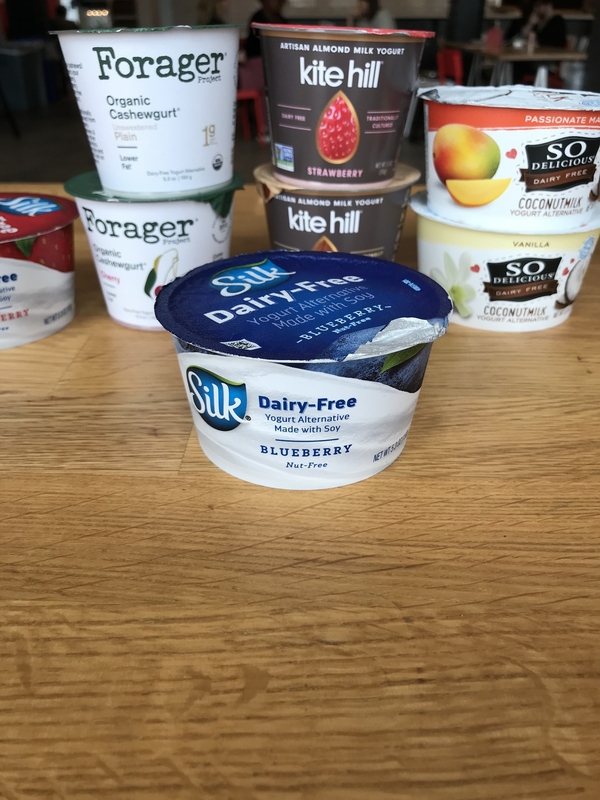 What's your favorite non-dairy yogurt? Tell us in the comments!